The takeaway: Know your company’s reputation and the general public’s reception of your message. It shouldn’t have been a shock to JPMorgan that a vast majority of Americans are not happy with the banking industry in light of the financial crisis in the U.S. If your brand isn’t well received in traditional or social media, don’t stick your neck out and give the public open season to vent their frustrations directly with one of your company’s big-wigs. The takeaway: Stay away from tragedies. Period. 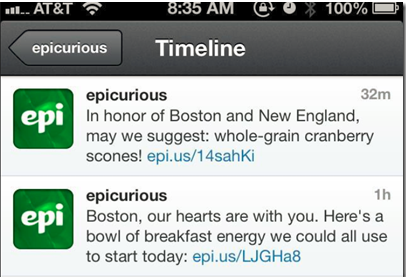 Even companies with the best intentions can have their comments misconstrued on social media. Also, don’t use a national catastrophe to sell your products. Not only is it crass, you’ll likely end up as a case study for poorly promoting your brand on social media and how not to handle a PR nightmare. The days of scheduling social media posts days or weeks in advance is coming to a close. Your audience wants content that is timely, but also relevant to current events. 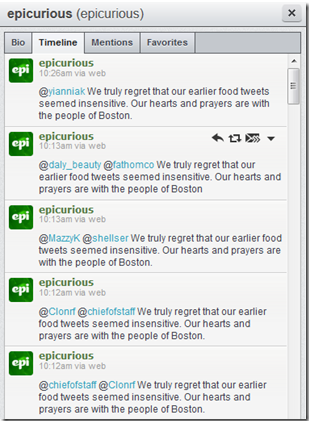 Many brands, such as the NRA, have seen firsthand the wrath of the social universe with a poorly timed scheduled Tweet. 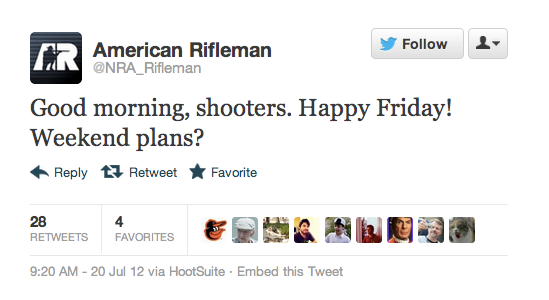 The tweet was sent out via HootSuite, a social media management platform, and was prescheduled to post on July 20, 2012. Unfortunately, that was also the day the nation was mourning the Aurora, Colo., shooting that occurred at a midnight premiere of The Dark Knight Rises. The takeaway: The set-it-and-forget-it method of social engagement is dangerous ground. No one knows what major events will happen day to day. With prescheduled social media posts, you run the risk of accidentally posting a message that will be viewed as insensitive or offensive under tragic circumstances. Social media management requires diligent monitoring and thoughtful posting – things you can’t do weeks in advance. There are some big-name companies out there who have successfully increased their followers through listening and creating clever social media campaigns. 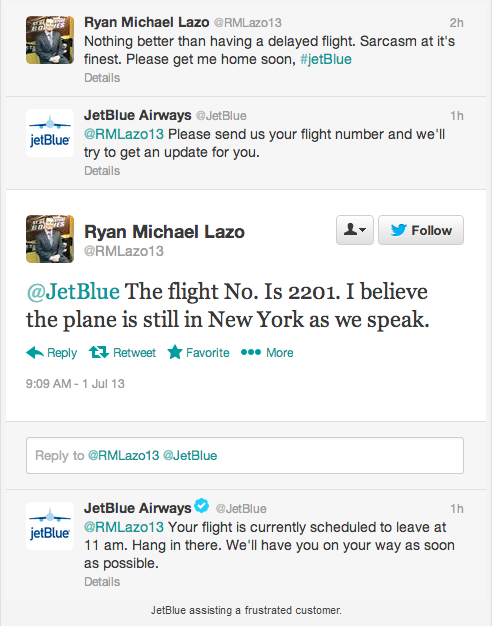 Companies, such as JetBlue, found that immediately addressing a customer complaint, even though they can’t directly resolve the issue, shows the customer that they’re listening. That can go a long way. Engagement on social media is key to building relationships with your followers, as well as gain new ones. Oftentimes companies try this with a giveaway contest. If you’re planning on going this route, take a cue from Verizon FiOS. The company’s #PlayLikeaGirl social media contest made it easy to submit an entry: upload a picture to Facebook, a 60-second video to YouTube or add #PlayLikeaGirl to a Twitter photo. The contest not only promoted female empowerment in sports, the accompanying series of YouTube videos are entertaining while still promoting the company’s product.